Pretty Cases, Boxes, Pouches, Pincushions & More. Bonus: Full-size pattern sheet included. 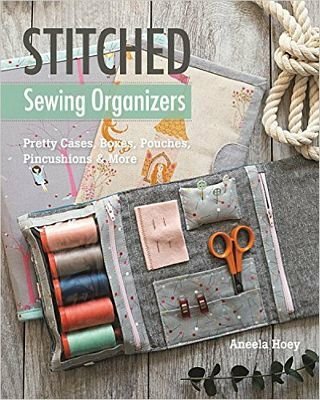 Celebrate and use your sewing skills with well-known and popular designer Aneela Hoey's 15 stylish yet functional patterns for a wide variety of sewing organizers. Designed to work together, many of the smaller projects fit into larger ones and can be made into a coordinating set. Showcase trendy fat quarters and half-yards or use up odds and ends of your favorite fabric as you make cute containers for yourself, to give to your friends, or to bring to swaps! Even the more challenging patterns can be sewn in less than a day - perfect for when you need a break from those more time-consuming projects. 112 pages + pattern pullout, color, 8" x 10", by: Aneela Hoey, Published by: Stash Books (C&T Publishing).